How the club was founded. 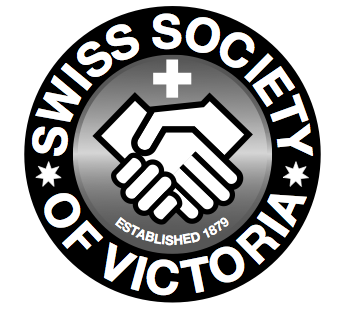 The history of the Swiss Club of Victoria officially started when it was founded on the 1st of February, 1899. But the foundations for the club were laid many years earlier. The first wave of Swiss migration to Victoria started only five years after the foundation of the first permanent Victorian settlement in 1834. It was initiated by the appointment of Charles Joseph La Trobe as superintendent for the Port Phillip District, as Victoria was called before 1850. La Trobe was married to Sophie de Montmollin. 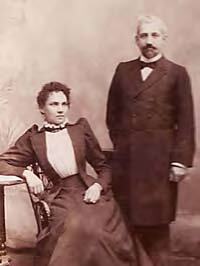 The de Montmollin family belonged to Neuchâtel’s aristocratic elite. Through this connection, over 100 winegrowers from Neuchâtel and adjacent districts were encouraged to migrate and work in the colonial wine industry. The second wave was initiated by the discovery of gold in the 1850s. It prompted an exodus from the poverty-stricken Valle Maggia, Val Verzasca and other parts of Ticino and southern Grison. Between 1854 and 1856 almost 2,000 Ticinesi and Poschiavini had arrived in the famous Jim Crow goldfields, which is today’s Daylesford / Hepburn Springs area. Solidarity was strong among the now considerable number of Swiss citizens living in the district. Many had fallen on hard times because the promise of gold and fortune came true for only a few, and it did not take long until the first benevolent society was founded. This was usually done by wealthy businessmen and tradesmen committing themselves to helping newly arrived or needy countrymen. And thus, on the 17th of April 1879, the ‘Swiss Society of Victoria’ was founded. There were 21 founding members and within six years the membership climbed to a record 136, a number that until today remains unsurpassed. In 1890, the ‘Swiss Society of Victoria’ patronised the foundation of the ‘Social Club Helvetia’ to take responsibility for organising social events and festivities, such as the Swiss National Day. The closing down of this club only six years later due to financial problems made way for the formation of a club that was independent of the ‘Swiss Society’ and so, the ‘Swiss Club of Victoria’ was founded in 1899. In order to raise community interest and increase membership, the club published a monthly newsletter called ‘Edelweiss’… a newsletter we are proud to continue today. Despite the best efforts to raise membership to a level that would have secured the financial viability of the club, the first incarnation of ‘Swiss Club of Victoria’ failed and dissolved in 1904. Another attempt to establish a social club coincided with the third wave of migration following the First World War. This wave consisted predominantly from the German-speaking Cantons of Switzerland. Launched with generous private donations totaling more than £100, the second incarnation of the ‘Swiss Club of Victoria’ held its inaugural meeting in 1924 at the ‘Manchester Unity Hall’. The initiative to re-form the club came from a small but passionate group of 48 Swiss residents in Melbourne and from the Swiss Consul at the time. The bond between the ‘Swiss Club of Victoria’ and the ‘Consulate General of Switzerland’, including consular staff of all levels, has been a strong one from this very beginning and remained so until the Consulate in Melbourne was closed in 2007. The National Day Gala Ball in that year took on a special meaning as it was celebrating 150 years of Victorian statehood as well as saying farewell to the consulate, after exactly 150 years of continued representation. The club has moved a number of times to suit our changing needs. The first club rooms were found at 10 Patrick Lane, off Lonsdale Street. The club relocated several times in its history but never left the city centre. After some years, it briefly moved to 389 Flinders Lane. By 1929, members – and therefore the club itself – were so adversely affected by the looming depression that rented premises could no longer be afforded. Meetings were held at members’ homes and the club’s activities were reduced severely. This changed when, in 1932, the club was offered two rooms at 60 Bourke Street. This would be its home for the next nine years during which the club was gradually revitalised. Then the search begun to find larger premises that would allow the club to host functions on site. 161 Spring Street, a two-story building came up for lease and was found to be suitable. The new club premises were ceremoniously opened in 1941. In those early years, it had been a huge step forward for the club to have a home – a place with a kitchen, a library, a card room to play Jass, and a meeting place for the ladies’ auxiliary. It even had a caretaker, who lived on the ground floor. She cooked simple meals for which she was paid £1 a week and was therefore affectionately called “Mueti” (Mum) by many young Swiss migrants. Over the next few years the enterprising idea developed to take the next leap and become truly autonomous – to move from leasehold to freehold title. The owner of the building often attended functions such as the Gala Ball and eventually the club let it be known that there was a desire to purchase the building. After much negotiation, a reasonable and moderate purchase price of £12,500 (approx $450,000 in today’s money) was agreed upon. For a club that had only £2,500 in the bank, this was still a huge amount. In 1952, an extraordinary meeting was held to form a committee who’s task it was to purchase 161 Spring Street. Debentures were issued, Swiss firms were asked for donations, members were asked to give whatever they could afford, and eventually enough money was raised to pay required £9,000 deposit, with the balance to be paid off at a rate of £75 a quarter, interest free! The acquisition of the building in early 1953 was without a doubt one of the boldest, most important and far reaching actions ever taken by the ‘Swiss Club of Victoria’. The club remained based at Spring Street until 1968, when the committee received an offer from an interested party to buy the premises. A cash-strapped club saw this as a chance to solving its financial troubles and move ahead once again. Eventually it was agreed to ‘exchange’ its current premises with 22 George Parade, off Collins Street. This was an success as the value of the new facility was substantially higher. The official opening of the George Parade premises took place in February 1970. But no sooner had the club settled into its new home, when an offer was received from the mining company CRA, the owners of the adjoining property, to buy the building. The offer was rejected, but instead, it was agreed that CRA would find suitable replacement premises with a proviso that all alterations be of club specifications and at CRA cost. Several premises were inspected and eventually 87-89 Flinders Lane was found to be most suitable. The transfer from George Parade to Flinders Lane required an enormous amount of negotiation and the committee achieved a great result in obtaining much better premises at no cost to the club. The new club house, where we still are today, was officially opened by the Swiss Ambassador on the 16th of February 1973. In 1977, although the fit-out was only a few years old, the committee felt that the atmosphere was not suitable for a Swiss restaurant and a group of talented members set about to rebuild the first floor themselves. The club remained basically unchanged until 2004 when it was again decided to refurbish the entire first floor, to create a true Swiss character. The club’s fortune of around $300,000 was invested in achieving what one can see today. In 2006, after a long period of troublesome tenants, an experienced restaurateur set-up business on the ground floor and in doing so, not only refitted the ground floor, but also gave the outer facade a very welcome face-lift. This ground floor lease has provided the club a very table income ever since. 2010 finally saw the complete renovation of the Second Floor. Confident of its future, the club borrowed around $300,000 to transform this floor into a modern, multi-function venue that provides space for club and Interest Group activities as well as offering additional income for the club as it now can be hired out to individuals and businesses for a multitude of purposes. The changing faces of our Interest Groups. The Folk Dance Group Alpenrose still exists to this day, and are often asked to perform around Australia and New Zealand. The club has always had a busy social calendar. Things might change, but the club always has a busy social calendar. National Day celebrations were naturally the premier events each year. Up until recently, the highlight was been the annual Gala Ball, of which we are fortunate that photographs taken in the 1920s, 1930s and 1940s have survived. Although the depression took a bit hit on social events, in 1933, the National Day Ball held at the Melbourne Town Hall attracted 500 people – many times more than the entire club membership at that stage. Today, we celebrate Swiss National Day just as enthusiastically with a ‘Lampionparade’ for the children and their families in the city centre, followed by a booked out party at the club, along with a special luncheon for our senior members. an exhibition of Swiss folk art and handicrafts and an exhibition of Swiss artists in Australia. Participation in the ‘World Expo 88’ marked another grand event for the Swiss Club of Victoria. More than 50 members of our various interest groups took part in an extravagant three day Swiss exposé in Brisbane. It was a unique gathering of Swiss communities from all over Australia including some artists that were flown in from Switzerland especially for this event. In a collaboration with three other German-speaking clubs, the Swiss Club participated in staging the Melbourne ‘Oktoberfest’ from 1983 to 2002. Not only did this event create a great deal of camaraderie between members and friends; and a special bond between the four clubs, it also generated some much needed income for the club, particularly in the early 80’s. In April 2002, the Swiss Club organised and financed its first Swiss Festival in Flagstaff Gardens. The Swiss Club wanted to strengthen the friendship and collaboration, not only among its Interest Groups, but also with the other Swiss Groups in Victoria and thus chose the name Volksfest (‘Festival for the people’). It was a great opportunity to showcase Swiss customs and food to the Melbourne public, as well as a chance for the individual groups to raise funds. The day was a success, however organizing an event in the CBD also meant a lot of bureaucracy, and subsequently, it was held successfully at the Austrian Club for many years. The yearly event steadily increased in popularity, attracting around 1,000 visitors. As organizing such and event was a lot of work for the already very busy Swiss Club Committee, the Swiss Festival became it’s own interest group in 2008. Based on the original concept, several more festivals took place at the Austrian Club. In 2013 the Swiss Festival took a leap and returned back to a CBD location, this time to Queensbridge Square. Currently, Swiss festival is held every 2nd year. Check the Swiss Festival page for more information. These were just a few of the bigger milestone events, in which the Swiss Club took and still takes part, but the every day life of the club is much more simple. Playing Jass on a Wednesday night, sharing a meal with friends in a familiar atmosphere, children attending SwissKids, looking after our Seniors and those that are alone or unwell, listening and dancing to the fabulous Kapelle Grüezi Mitenand playing the Swiss Club Fox and many more great Swiss tunes once a month, choir and dance practice, the ladies luncheons and young Swiss meetings – in short, solidarity and sharing our common heritage – this is still the primary purpose of the Swiss Club as it was over one hundred years ago.